During the bitterly cold December of 1955, Donald Langham is asked by his friend, private detective Ralph Ryland, to assist him on a case. Ryland has been contacted by their old commanding officer, Major Gordon, who has reasons to believe that his life is under threat at his remote castle in the Scottish Highlands. On arriving at the castle, Langham and Ryland learn that Major Gordon is attempting to raise the wreck of a German plane which crashed into the loch in 1945. However, recent bad weather has put a halt to the progress of the salvage. But it’s not only the weather that is threatening the salvage. Soon after Langham’s arrival, one of the guests is brutally murdered – and the hunt is on to stop the killer before he – or she – strikes again. 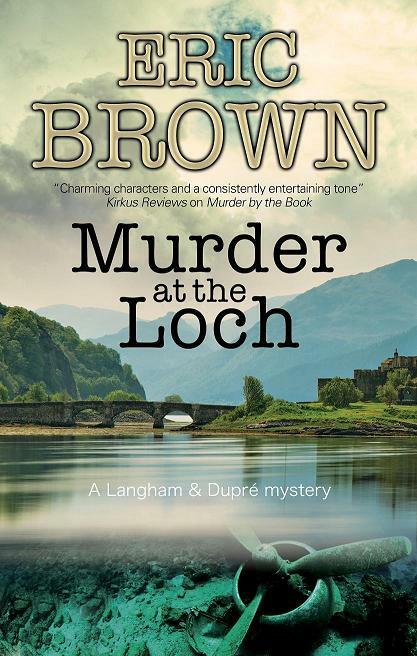 Murder at the Loch is the third in the Langham and Dupré mystery series. Jani and the Great Pursuit is out now. 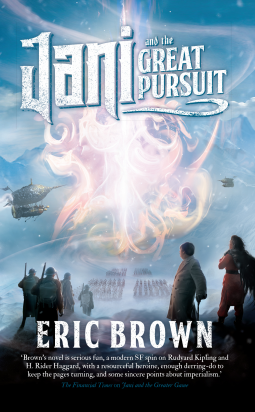 Pursuit follows Janisha Chatterjee as she flees India aboard the airship Pride of Edinburgh, pursued by the scheming Hindu priest Durga Das and his henchman Mr Knives. Apprehended aboard the Edinburgh by the British, she’s forced to abandon ship with her loyal followers Lieutenant Alfie Littlebody and Anand Doshi. Landing in Greece, they find their lives once more under threat – and, after many adventures and derring-do, arrive in London and search for the alien Mahran… with not only Durga Das on their trail but British and Russian agents too. Will Jani manage to escape her pursuers? Will she unite with Mahran and save the world from the invasion of the alien Zhell…? Jani is graced by a lovely cover by Dominic Harman.